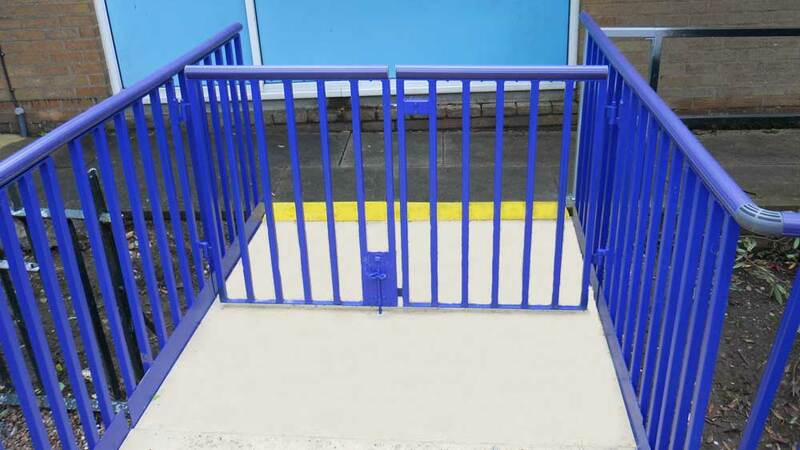 Suitable for schools, public buildings, cabins etc. 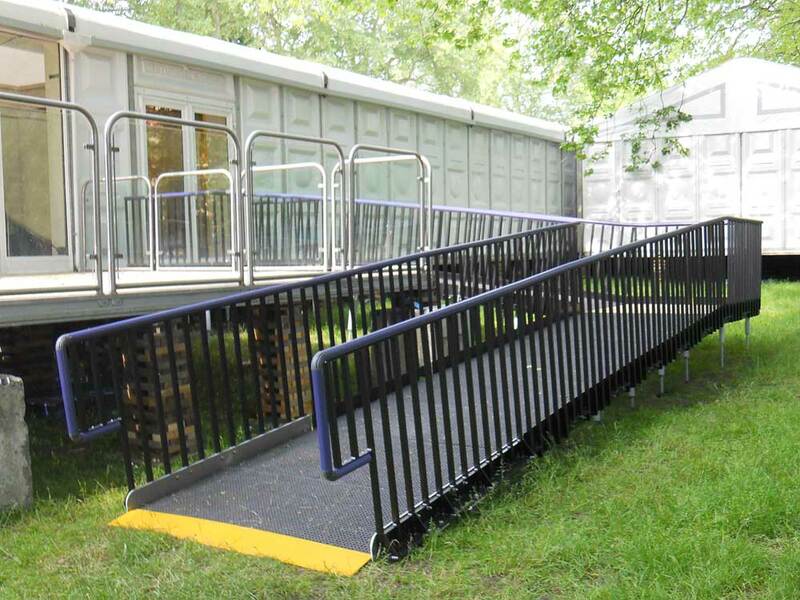 Providing full ramp and/or stepped access to all types of temporary or semi-permanent building. 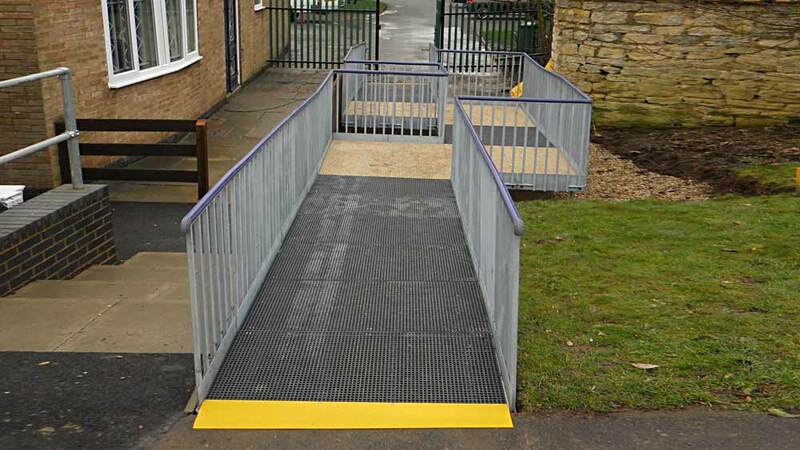 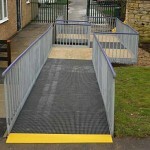 Complimenting the Ramp installations, our modular gates and steps improve both flexibility and security. 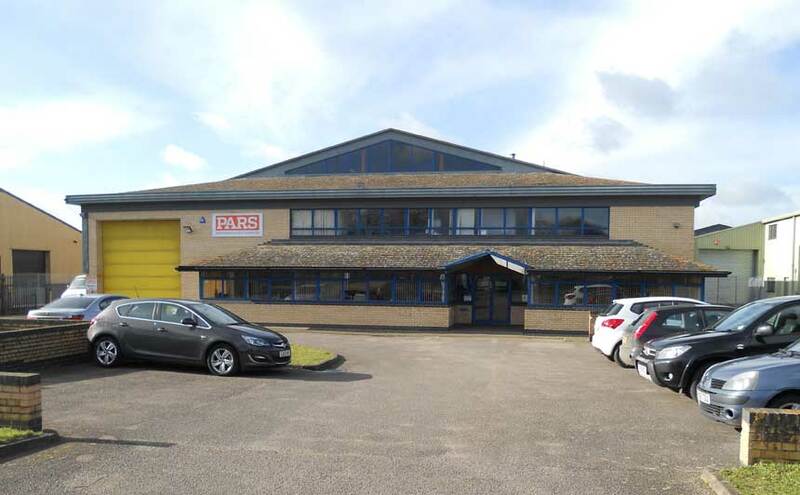 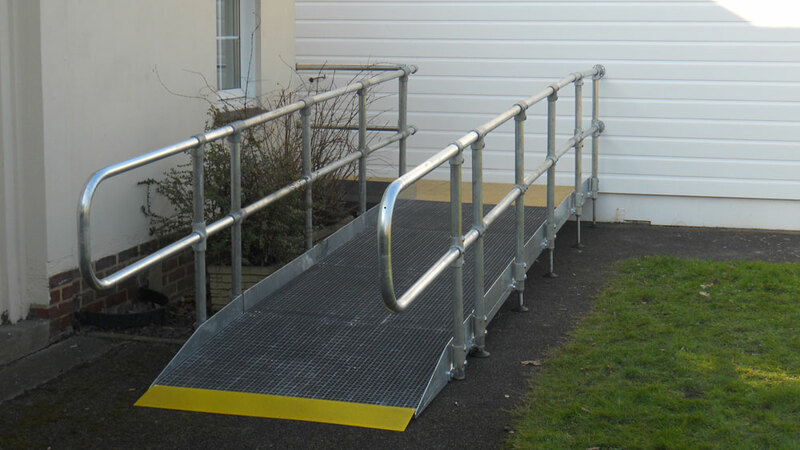 PARS Modular Access Ramps and Steps are preferred by many local authorities because no expensive foundations are required; This means that the ramp system can be removed from a property leaving no sign of its prior existence. 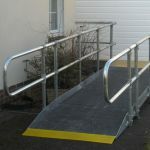 Also, the system can then easily and quickly be installed at an alternative property. 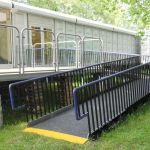 Due to its modular design it can be rebuilt in a completely different pattern. 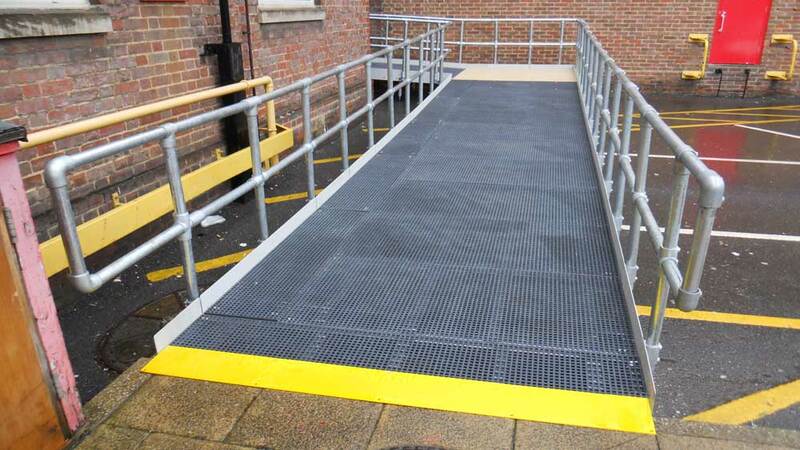 Our Modular Ramp system is built to order at our UK manufacturing facility. 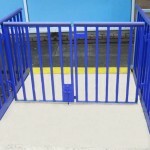 We use our own site survey engineers who will visit your site to take measurements and levels. 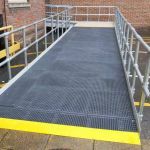 This information is passed on to our design office which will produce an access ramp layout CAD drawing for your approval.